Top Restaurants: Amsterdam has over the decade cultivated a unique spot of dining that has challenged even the most renowned food places. Its restaurants offer a globe-spanning array of the most delicious foods that are inspired by local and international concepts. The city is experiencing a “restaurant boom”, with some sticking to traditional foods, while others offering a contemporary mix of modern delicacies. Here are some of the best restaurants you shouldn’t miss to visit while you’re in Amsterdam. Situated in a spectacular garden in a former coach house, this restaurant offers an unforgettable outdoor dining experience. It is among the best restaurants offering local foods and boasts a Slow Food movement. You can expect a seasonal menu with some of the most welcoming foods. It is an all round restaurant; you can have coffee in the morning, have an apple pie during the day, get a compact lunch later in the day and dinner in the evening. 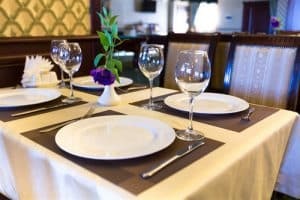 Top Restaurants: It is one of the most recommendable classic restaurants; you can never get tired of visiting this place. It is always bursting with a fusion of Asian and European foods. Located at Amsterdam’s Chinatown, you can expect nothing short of delightful oysters, beef sushi among other foods. One of the newcomers on the restaurant scene, Lt. Cornelis has some of the most authentic Dutch food. It serves delightful messenklever cheese, BBQ-ed leeks and barley risotto; Dutch food never tasted this good! It is a favorite among tourists due to its proximity to the tourist-centrum. It is a stripped down, lively and welcoming restaurants in Amsterdam. The food here is definitely first class, and it is considered one of the hottest places to eat. It has a single-ingredient Menu which changes every two months. This has become its signature and every month diet change either to chicken, fish, beef, vegetables, pork, beer and so forth. This is one of Amsterdam’s longest running restaurants and visitors frequent it for its steamed oysters and peking duck pancakes. It has a Chinese theme and is definitely one of the places to hangout and meet celebrities. Whether you are a local tourist or visiting Amsterdam for the first time, these restaurants will always welcome you unconditionally. The city provides just about every taste from around the world. The Dutch have a tendency of eating early, beware that most restaurants might be closed by 22:00. However, by booking yourself a room at Hostel Sarphati, you can opt to stay out till late and retire to your room later without a worry. They provide a comfortable and affordable stay for Amsterdam’s visitors, giving them room to enjoy their holidays and business trips right at the center of the city.